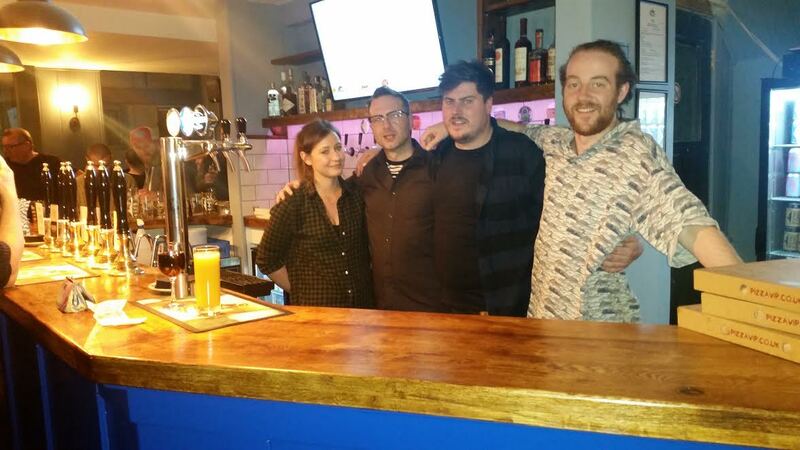 Landlord Rhys Davies threw open the doors of the Brighton Bierhaus – formerly the Jury’s Out and previously the Thurlow Arrms – on the corner of Edward Street and George Street, Brighton. He said that he hoped new developments in Circus Street and in East Brighton would guarantee business for years to come. The Brighton Bierhaus is the first pub to be opened by craft brewer Brighton Bier which supplies wholesalers across Britain and as far afield as France, Italy, Singapore and Japan. The pub sells the Brighton Bier range as well as a variety of guest beers. Brighton Bier was founded in 2012 by Gary Sillence, who was head brewer at the Kemp Town Brewery at the Hand in Hand pub, in Upper St James’s Street. Having been a “cuckoo” brewer, the Brighton Bier business has since merged with wholesaler WithSoul and since 2015 has had its own brewery on the Belltower Industrial Estate in Roedean Road. WithSoul owners Stephen Whitehurst and Ollie Fisher have stayed with the business and are the directors of Brighton Bier along with Mr Sillence. The Bierhaus pub also has wine on tap, delivered in key kegs, with one keg containing the equivalent of 40 bottles of wine. Mr Davies said: “All the money saved on packaging and transport is invested in the quality of the wine.